COPD can feel just like the television image; a woman is trying to breathe with an elephant on her chest. Chronic obstructive pulmonary disease is the description for a condition marked by the inability to breath normally. This inability for the lungs to function properly is caused by mild to severe tissue damage. The condition is normally brought on by smoking, although chemical fumes, secondhand smoking and pollution may also be causes. The two most common diseases that are present in people with COPD are chronic bronchitis and/or emphysema. 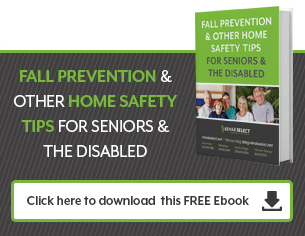 Since the condition is slow to develop, one may not notice symptoms until the age of 60 – by this time, treatment is almost always necessary to control symptoms and maintain the ability to do normal activities. Here are five of the most common treatment options for people with COPD. The first major step to symptomatic improvement is to avoid behaviors that aggravate the lungs. At the top of most lists is stopping smoking and excessive drinking. But behavior modification can also include staying out of places where secondhand smoking is likely to be an issue, like bars or smoking areas near buildings. Car exhaust can also cause difficulty breathing, so staying away from auto repair shops and gas stations may help. When it comes to the latter, you may have no choice but to visit these places and limit the amount of time you’re exposed to the exhaust by staying in the car or going inside of a building. Making sure there is ample oxygen in the bloodstream is one form of oxygen therapy used to treat COPD. According to the American Thoracic Society, oxygen therapy may be prescribed to people who have a low ABG (arterial blood gas) reading. An ABG level of 97% or above is normal, but a level of 89% or above is ideal. If a person’s ABG is lower than this at rest, they will need oxygen therapy. Oxygen therapy may be given at a doctor’s office or continued at home. 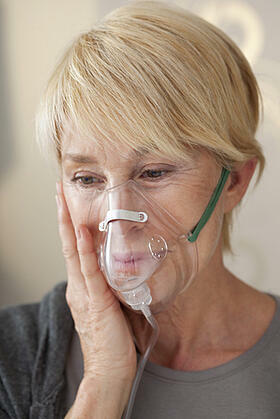 During an oxygen therapy session, the person will manually breath in oxygen from an oxygen concentrator or cylinder. This treatment can be extended until the level of oxygen in the bloodstream meets the minimum levels for self-sufficiency. Bullectomy: Removal of air sacs (bullae) from the lungs. Lung Volume Reduction Surgery: The removal of damaged lung tissue to improve the lungs’ function. Lung Transplant: Complete removal of a damaged lung followed by inserting a lung from a healthy donor. In these cases, medication and therapy may be suggested as part of an aggressive therapy plan. Occupational therapy is a special form of rehabilitation therapy that focuses on helping the patient return to work, school and normal everyday activities. Since the amount and type of work a person can do is restricted, an occupational therapist can provide helpful adaptive options and skills to lessen the strain on the patient’s lungs, while still giving them a way to continue the activity. This helps people maintain their independence and remain in the workforce for as long as possible. COPD is a chronic condition, so lifetime treatment may be necessary to maintain the ability to live a normal life. Multiple therapy options may be provided in order to treat the condition, as well as prevent future health complications from occurring.